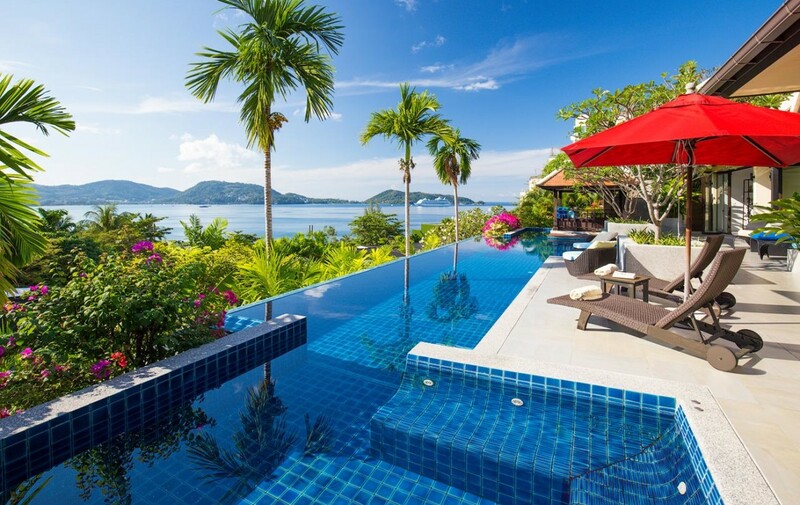 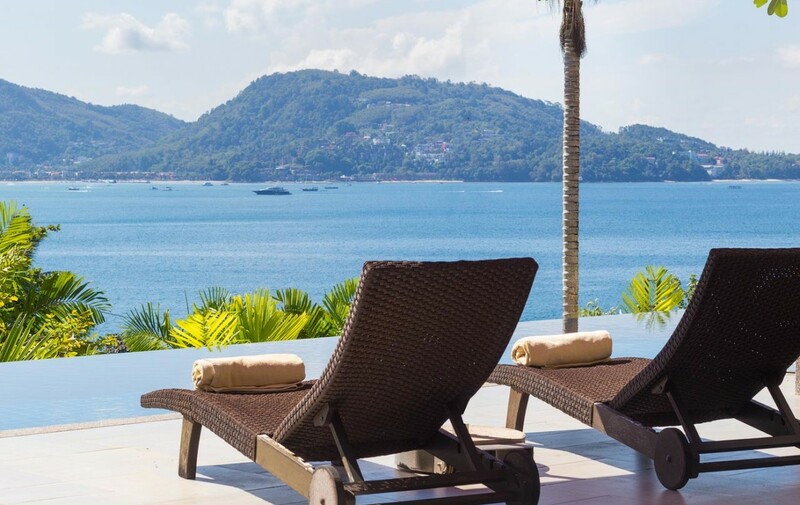 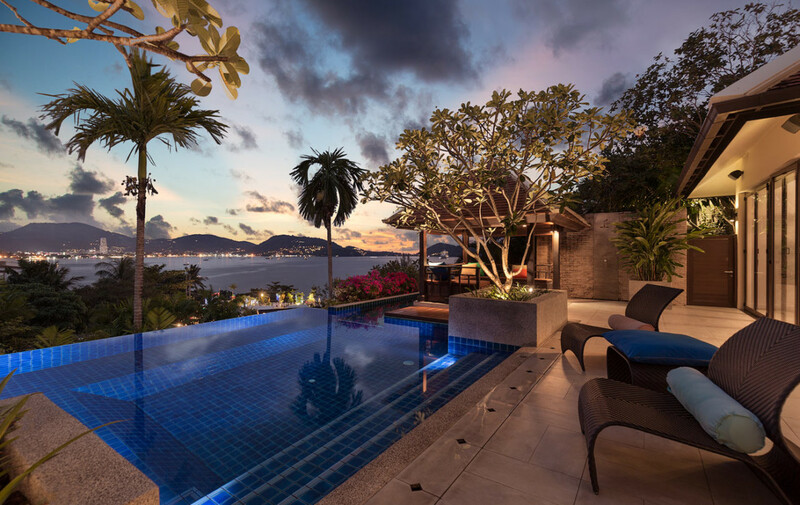 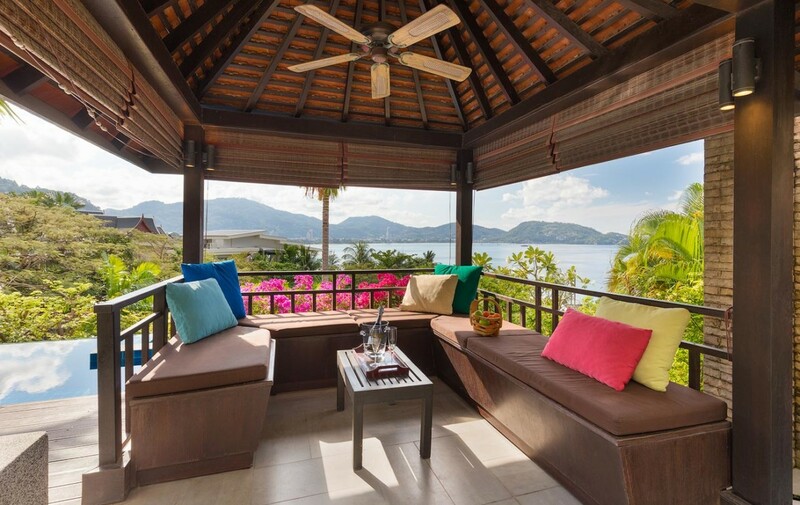 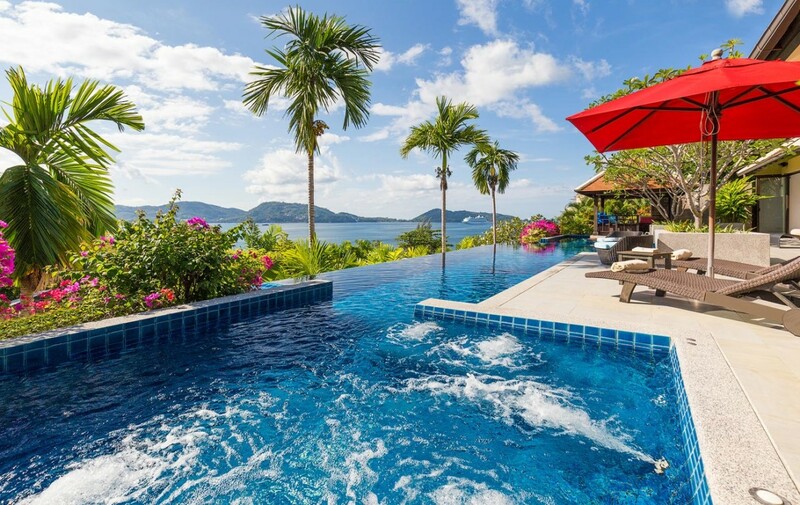 Overlooking the tranquil blue seas of Patong Bay, villa is a unique residence offering panoramic ocean and mountain views. 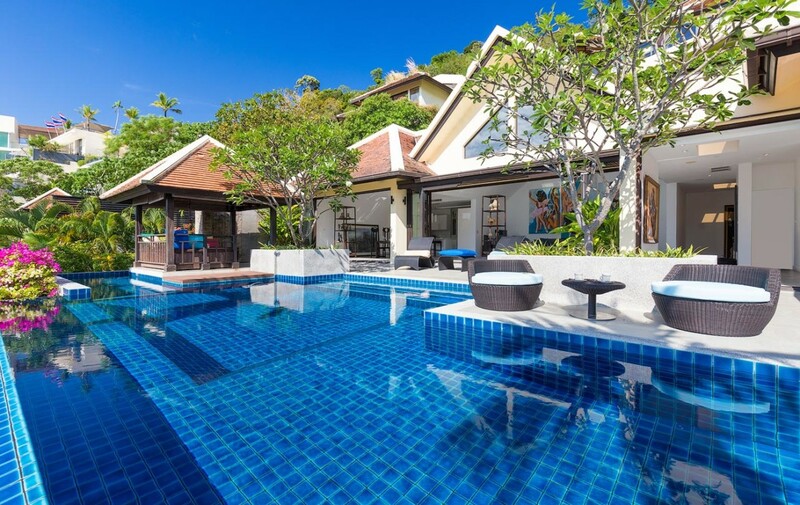 With high quality standards and a special attention to details, the villa provides a generous living space including 4 large bedrooms and 6 bathrooms across two main floors plus a large pool, terrace and garden areas. 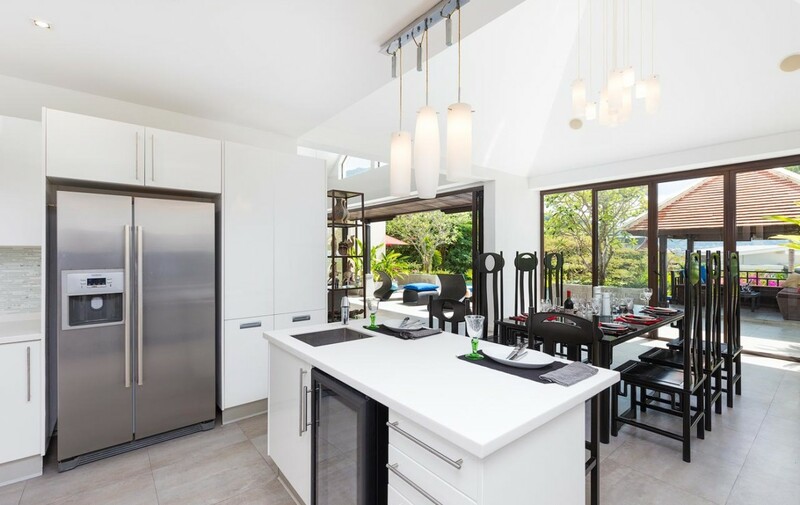 An open floor plan, the upper level includes the living room with a guest bathroom, the dining area and a fully fitted western kitchen with all modern appliances. 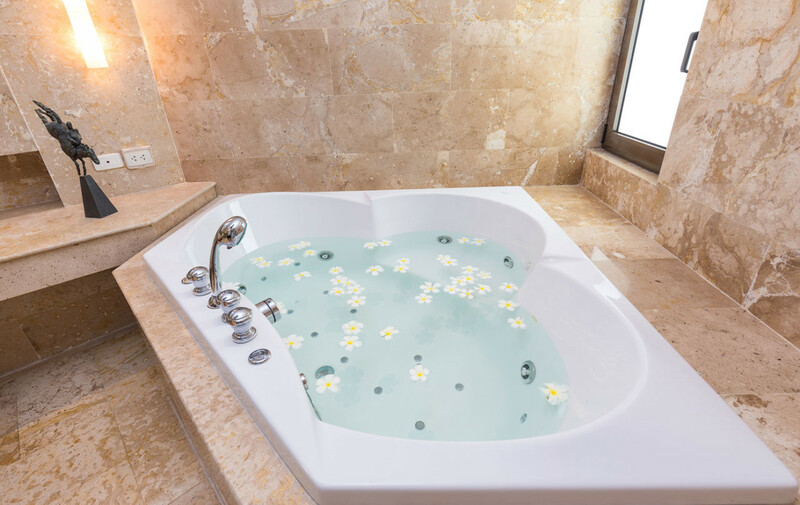 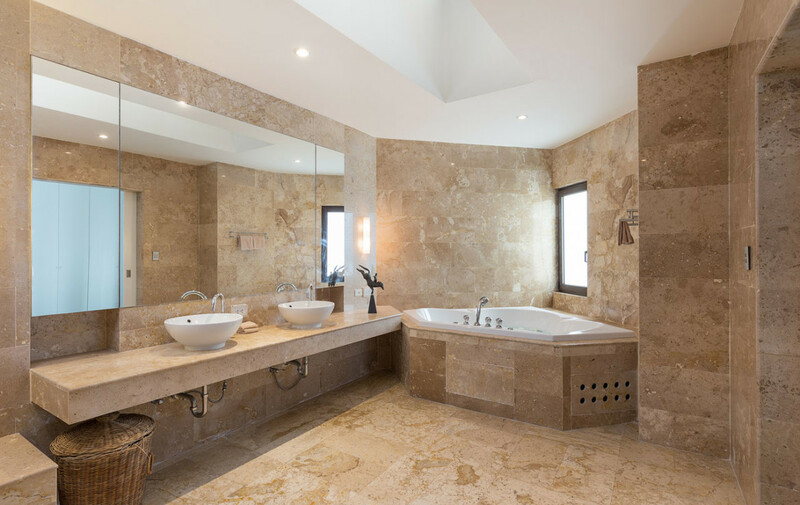 In addition, the master bedroom suite with a walk-in closet area and full en-suite (marble) bathroom with Jacuzzi tub, is accessible from the living room. 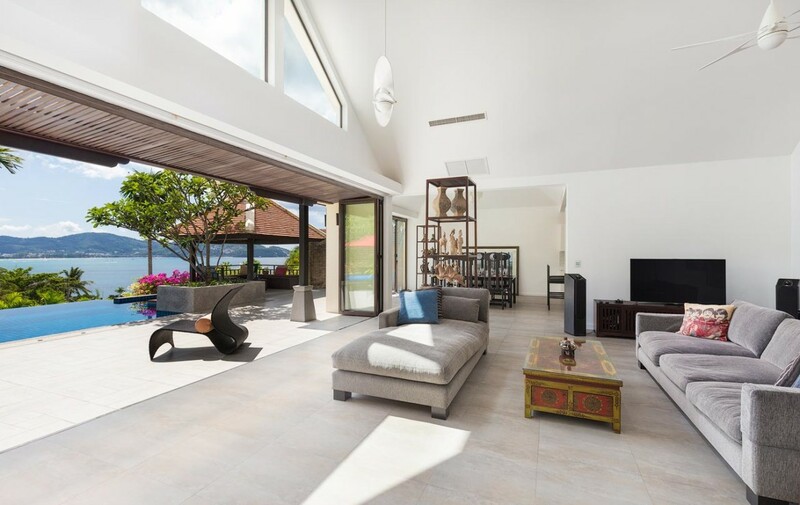 All window systems either fold or slide back to provide spectacular views of the pool, gardens and sea creating an amazingly comfortable blend of indoor/outdoor living. 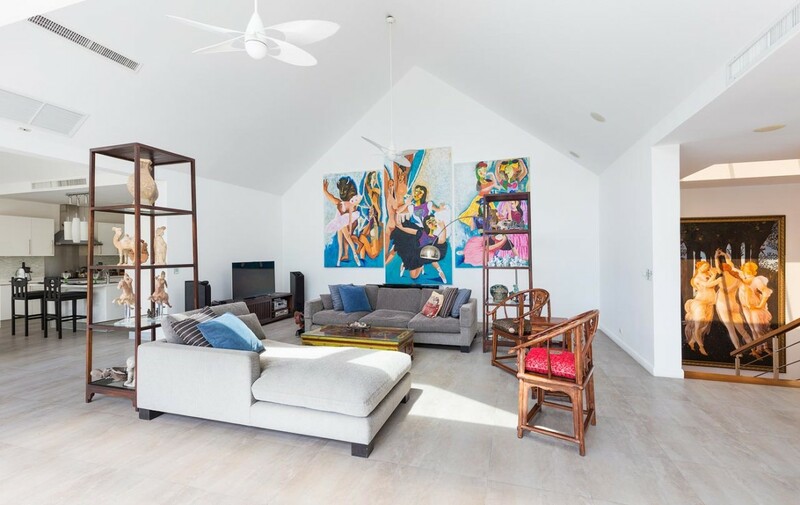 Vaulted ceilings expand the feeling of light and space. 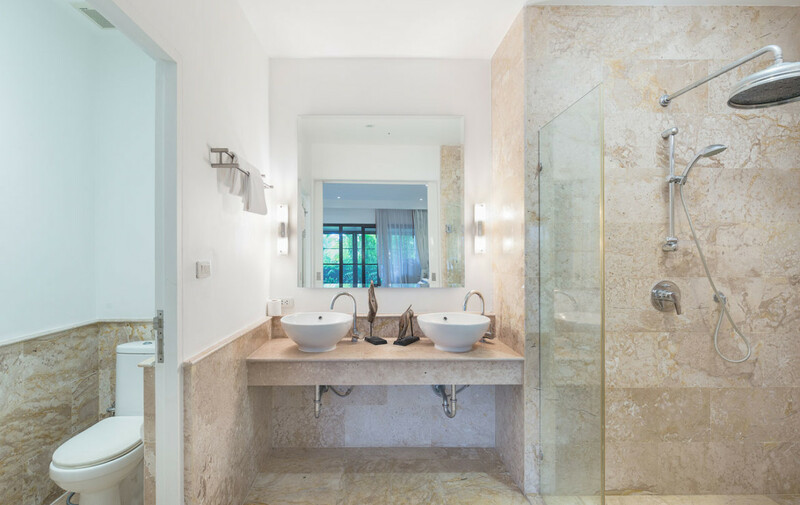 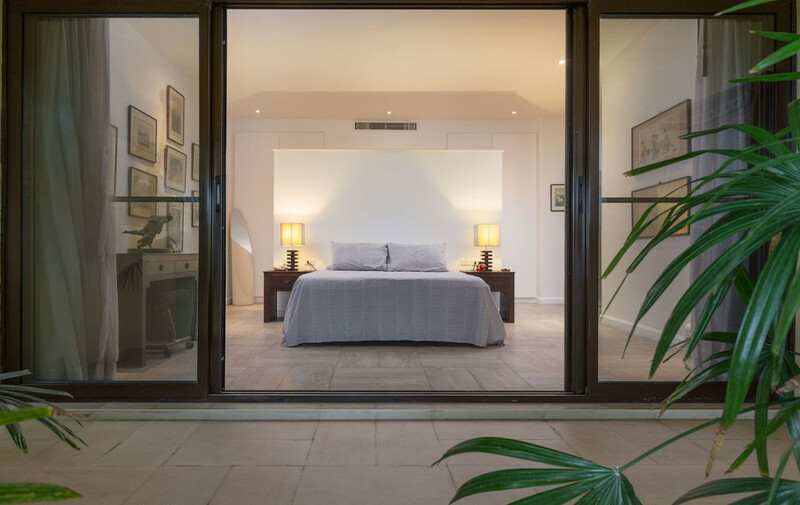 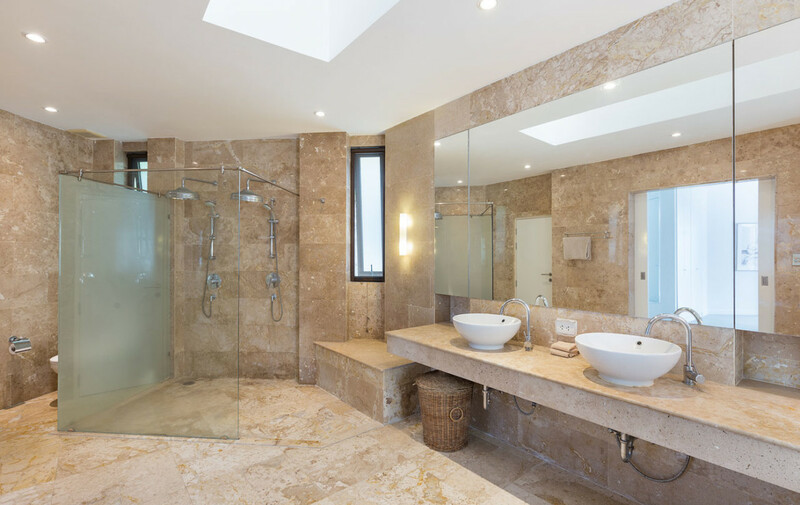 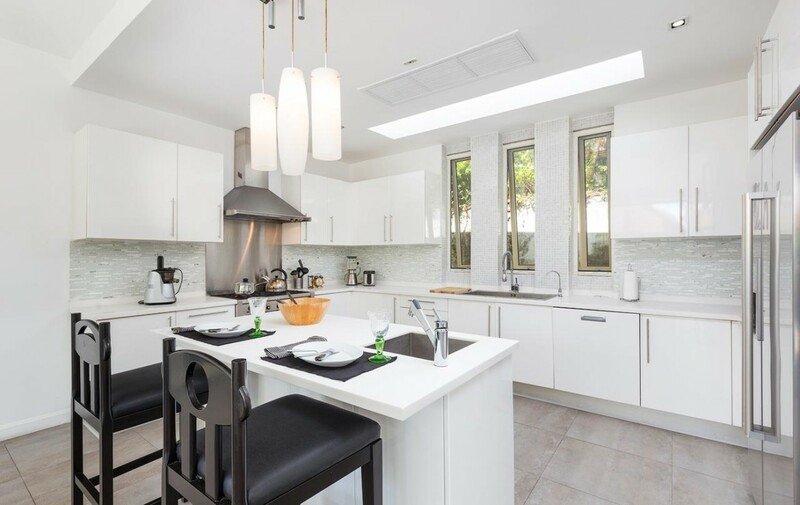 In addition, throughout the villa, an integral, air-conditioning system delivers climate control and stone tiles provide a touch of class with a soft feel but hard-wearing flooring. 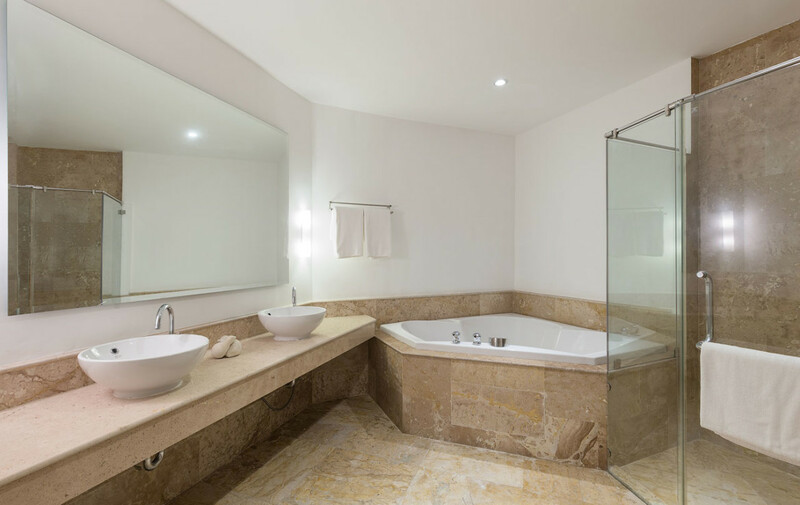 All rooms have direct access to the terrace which embraces a large infinity pool that incorporates a 20-meter swim lane and Jacuzzi bath. 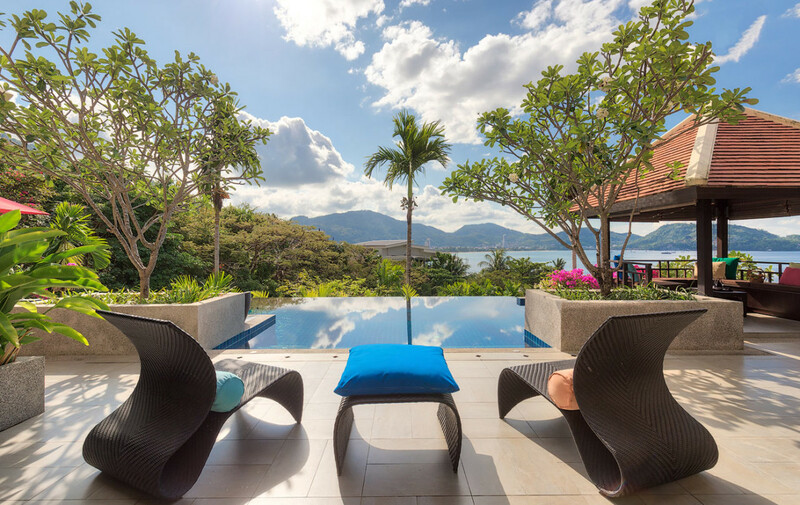 Additionally, a private sala (shaded seating area) is perched on the terrace at the front of the 600 sqm land plot. 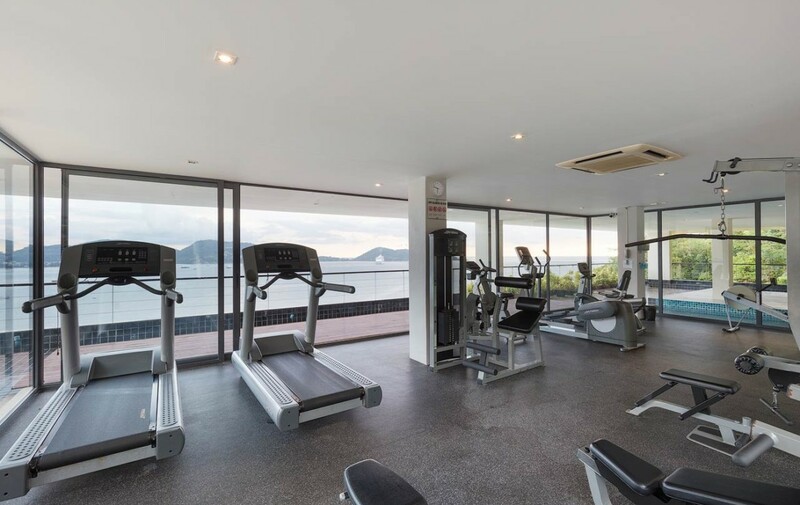 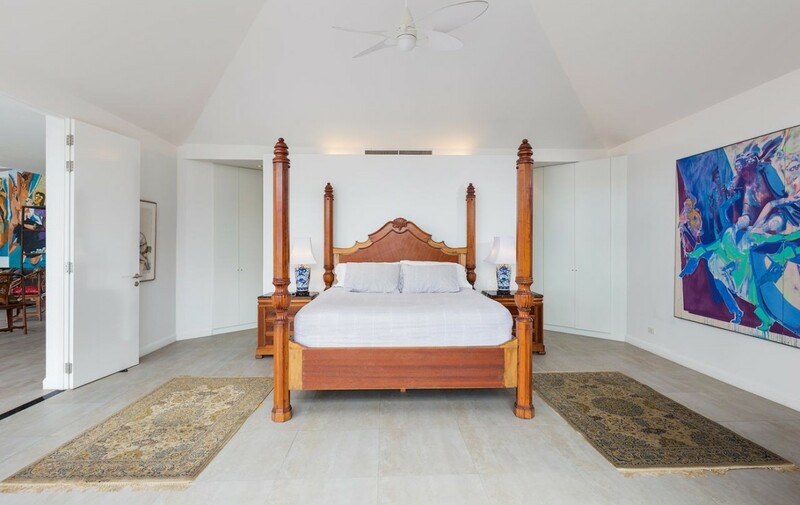 Cooled by a ceiling fan, the sala is an excellent place to relax enjoying breathtaking ocean views by day, dramatic sunsets at dusk and amazing city lights by night. 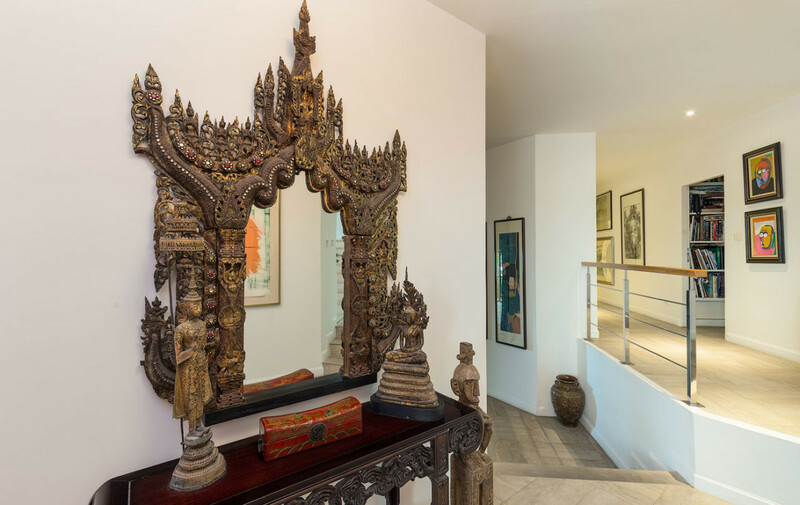 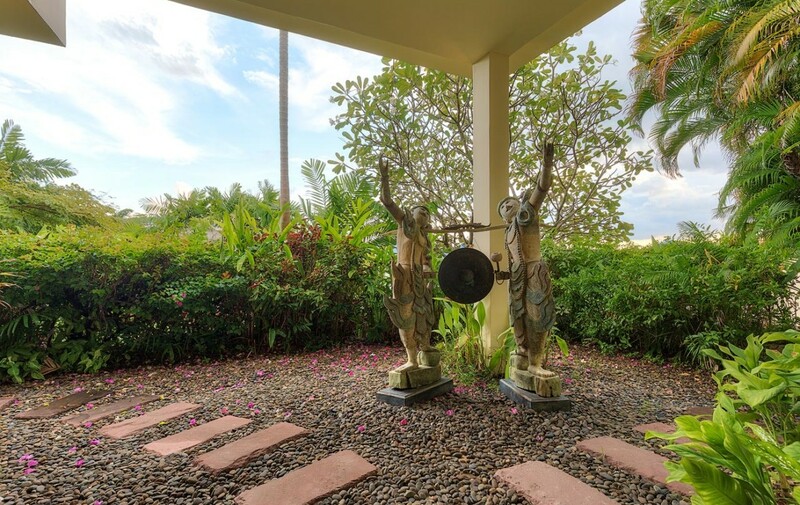 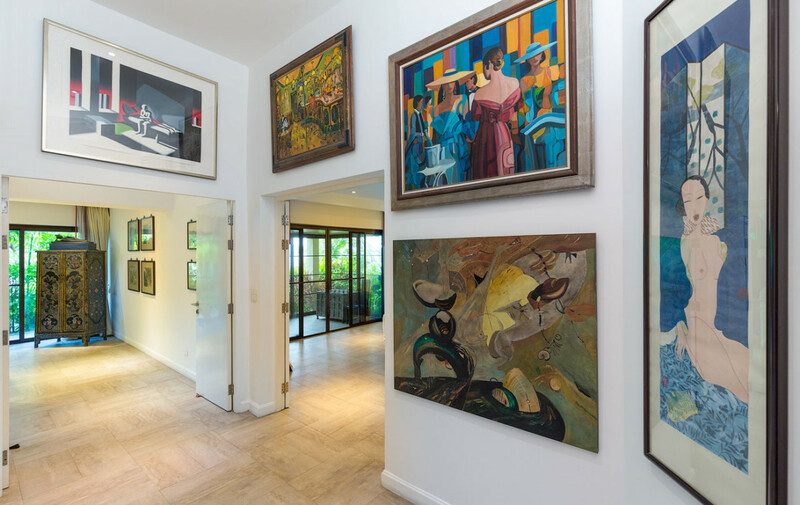 Nestled amongst mature tropical gardens and festooned with art and artifacts collected during the owner’s extensive travels, villa is well appointed externally and internally offering a special investment opportunity. 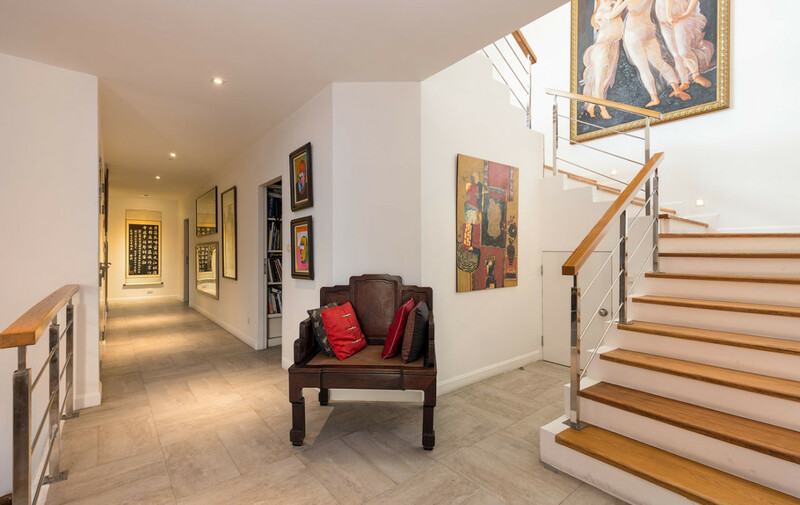 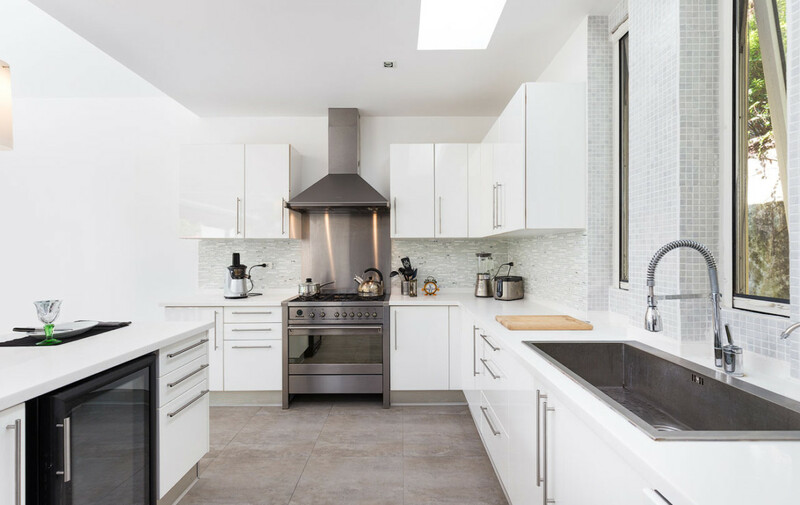 The lower floor has a large entrance foyer plus a further three en-suite bedrooms, a library, en-suite maid’s and laundry rooms and generous storage areas. 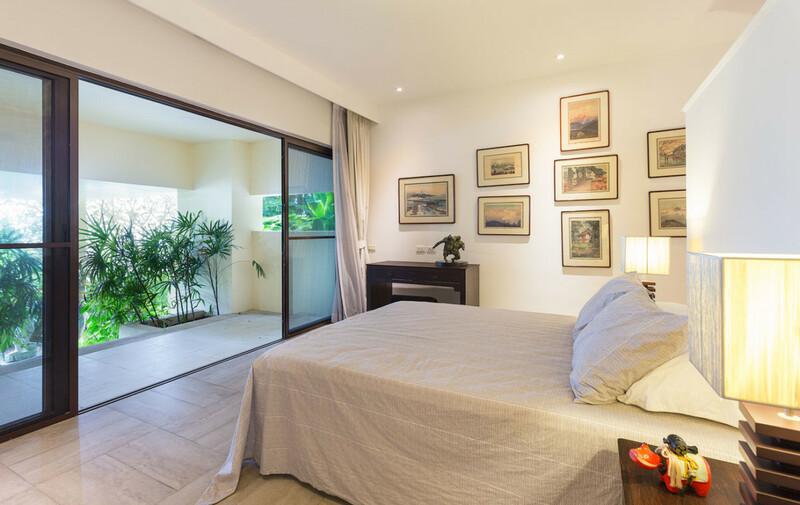 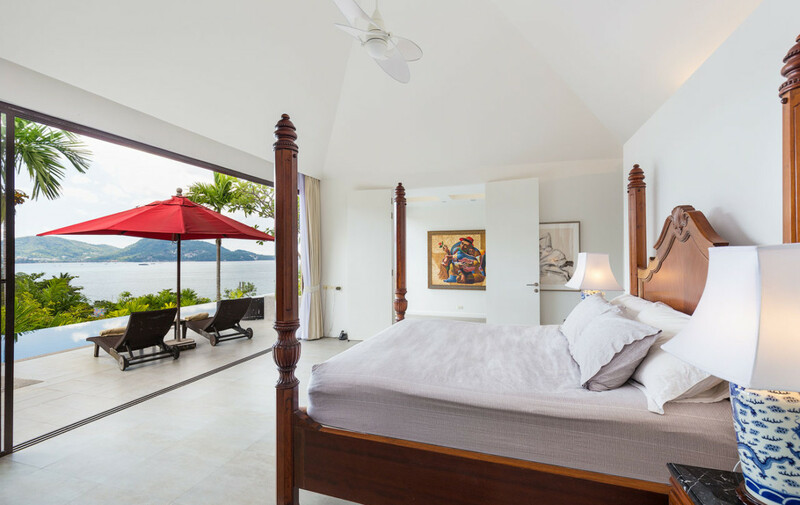 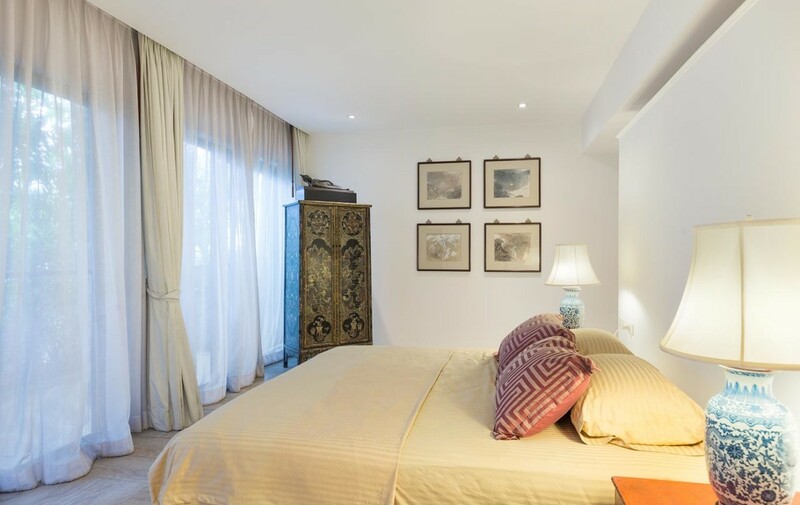 Each bedroom opens to a small private garden terrace and enjoys the greenery and sea views. 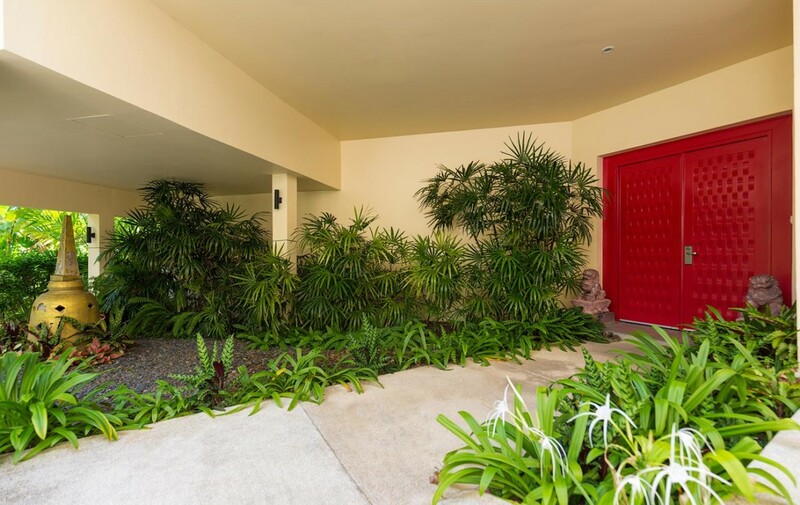 There is ample covered car parking for two cars as well as a private garden area along the driveway. 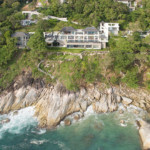 Ideally suited for a premium rental program, should your objective be rental income from this stunning ocean view property. 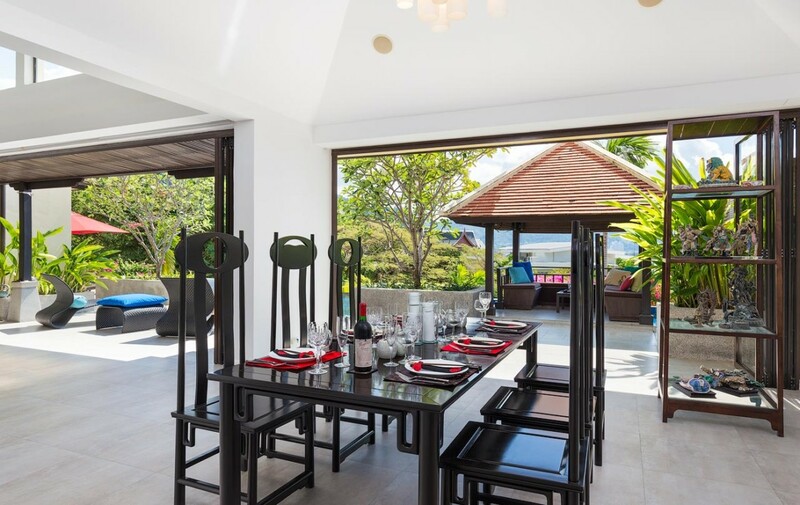 A convenient and comfortable location, within a few minutes walk or by taxi, you will find some of Phuket’s best: beaches…Thai and international restaurants…and shopping. 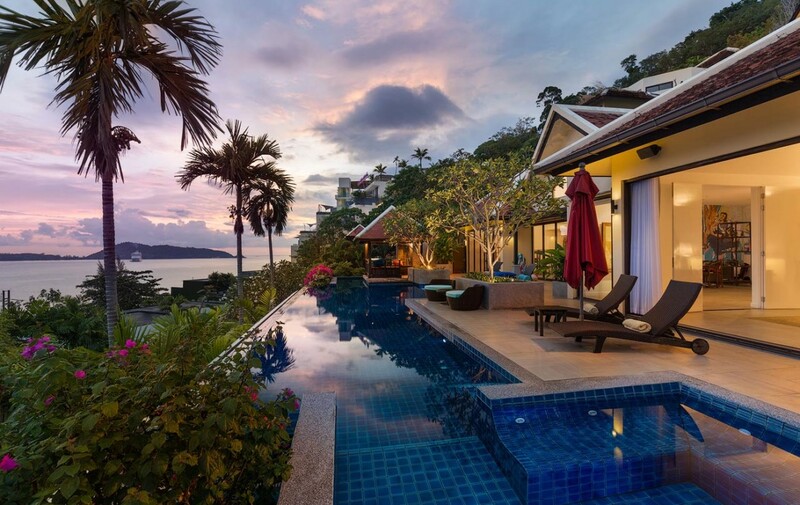 For party-goers, Patong’s nightlife with sports bars and discos is a short taxi ride away. 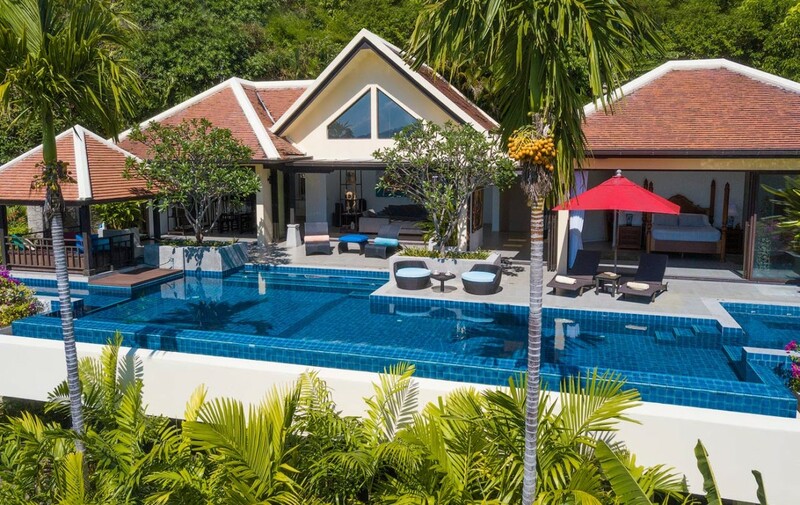 Current ownership structure is via a long-term leasehold for land with option for freehold purchase. 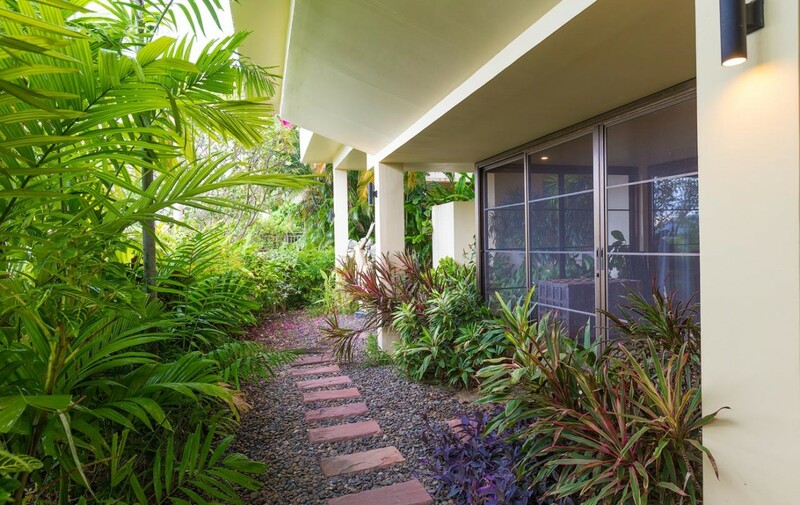 Building in foreign freehold name. 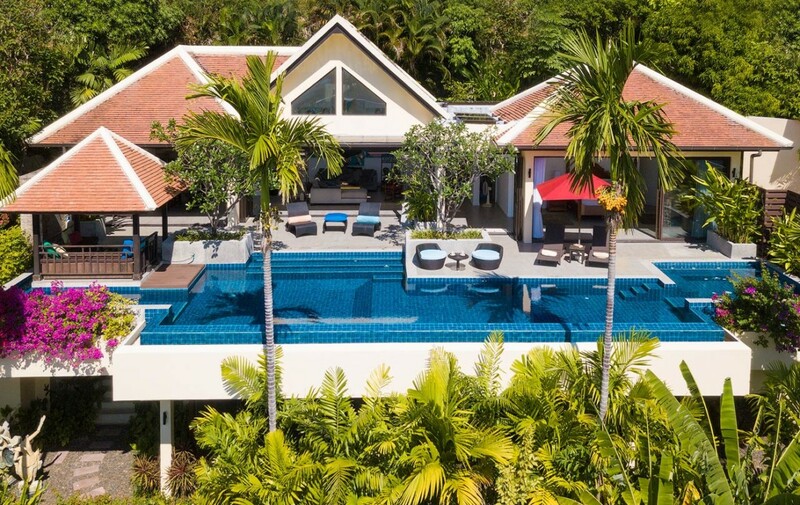 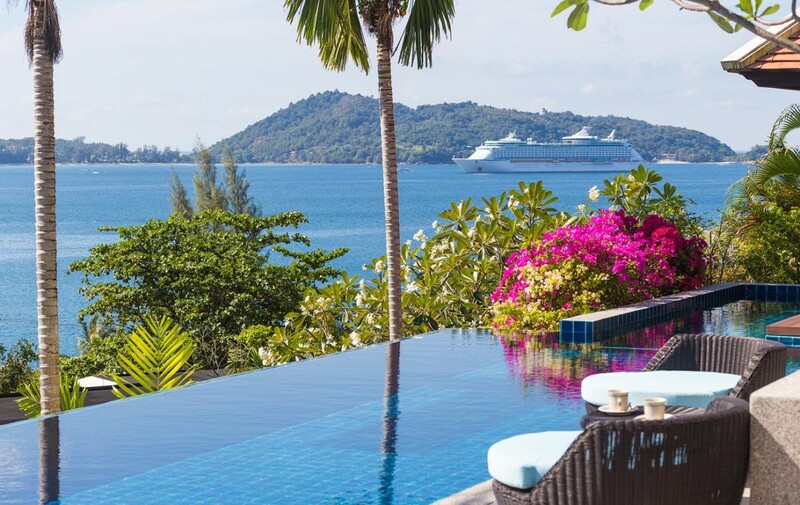 A premium boutique resort with the “best views in Phuket”, complex provides a truly unique vacation experience. 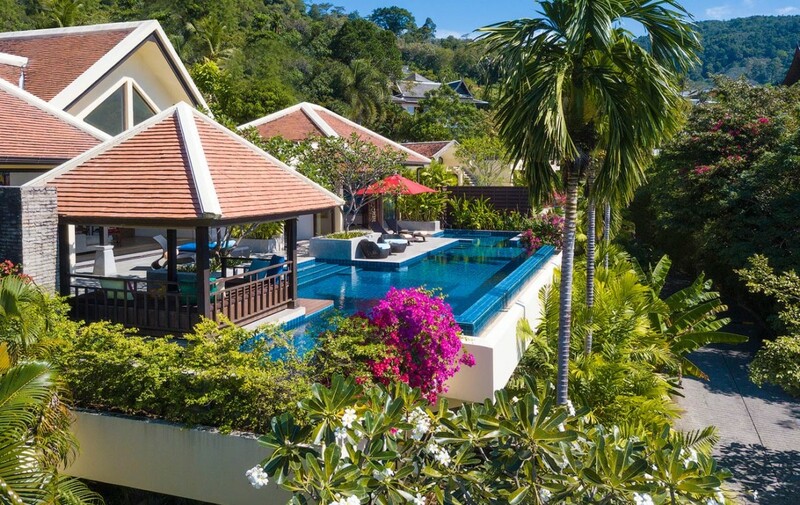 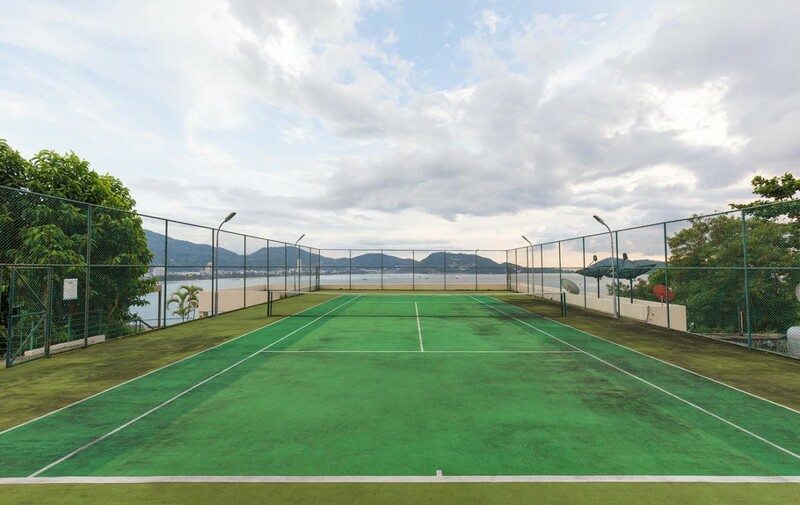 With its mature tropical gardens, its mountain and sea views, resort is a special destination.